Project funded through the Eurostars Programme. 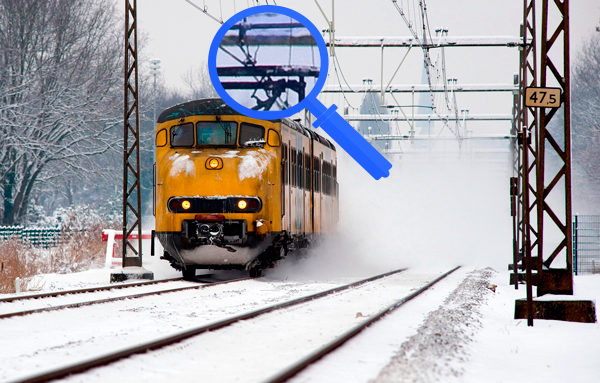 ICE CONTROL will improve cost efficiency preventing the appearance of ice on overhead contact lines and increasing the quality of rail service. 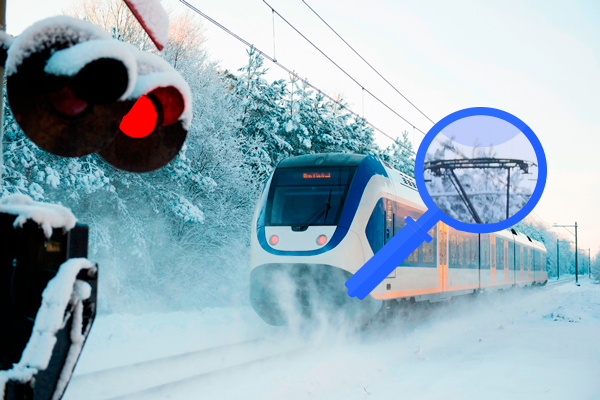 We intend to develop an innovative solution, ICECONTROL, for keeping Railways’ Overhead Contact Lines (OCL) free of ice cost-efficiently, assuring the caption of current by trains in railways placed at low temperatures. 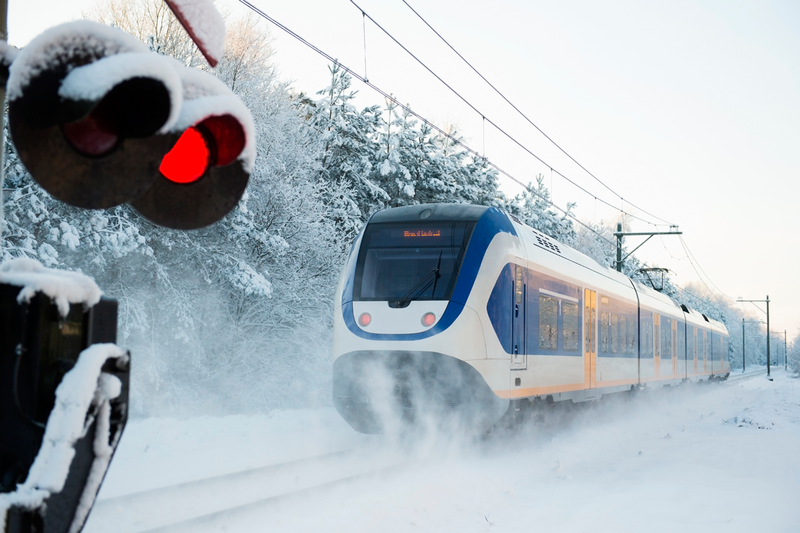 It will be delivered in form of an embedded expert system capable of automatically preventing OCL from icing and, in case this is not possible, de-icing, without interfering with the regular train’s transit. 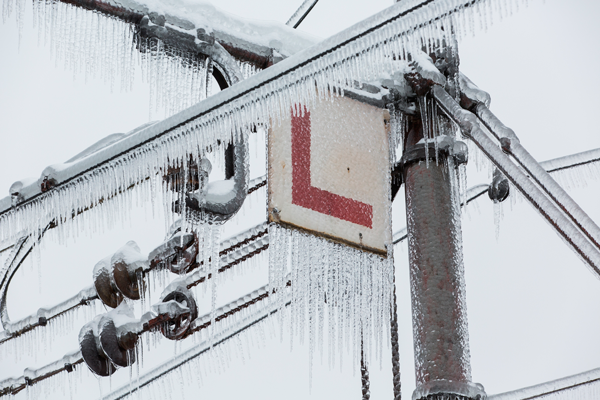 Our goal is to develop an embedded expert system for the automated assessment of the level of risk of icing in Railways’ Overhead Contact Lines from atmospheric and physical conditions, and the activation of prevention ANTI-ICE actions or, in case ice occurs, DE-ICE ones. These actions will be based on the Joule or Ohmic Heating, by automatically calculating the electric current needed to cause a certain temperature gain through the contact line, without interfering with the normal transit of trains. With this innovative approach, ICECONTROL will improve cost-efficiency of ice prevention and removal from railways supply lines. 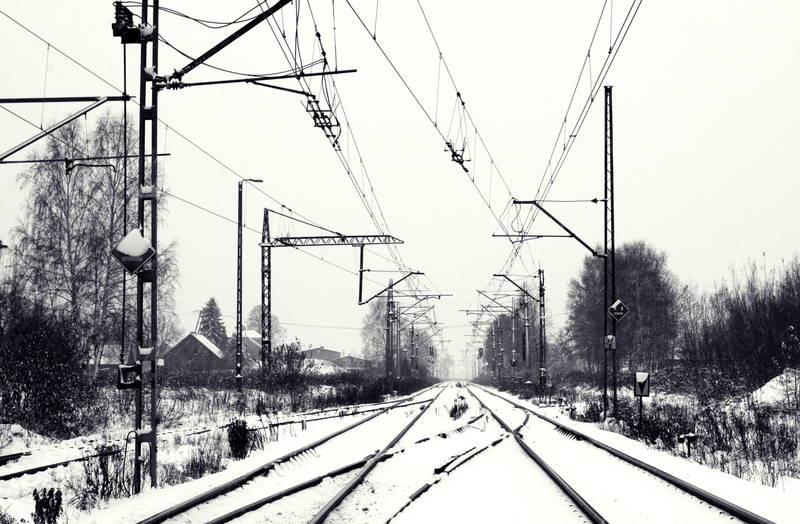 The characterization of the icing and de-icing phenomena in Railways’ OCL, determining the environmental and electric parameters involved and developing mathematical models to explain their relationships and simulate their behaviour. Coding of such models for the development of an expert software system. The integration of such software into a power and control equipment, specifically designed to monitor the actual environmental and installation parameters; and to generate actions for temperature´s gain in contact wires. Modules interoperability, standards and regulations. Definition and modelling of Environmental and Installation parameters. Definition and modelling of Functional parameters. Development and prototype Data Input module. System communications, operation modes and user interface. Design and prototype the power equipment. Design and prototype the control equipment. Testing and validation of ICE-CONTROL system. Protection of the project results and distribution of IP rights. Design of commercial exploitation strategy. Amayuelas, the project coordinator, is a Spanish leading engineering consultancy company in high power electrical installations, focused on the railway sector. 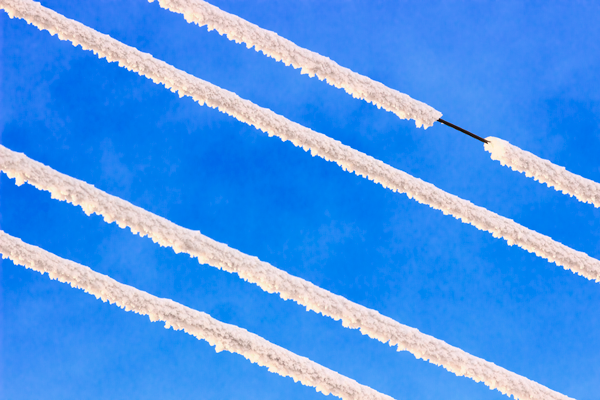 Amayuelas’ main activities comprehends the planning, condition assessment and inspection of high voltage aerial power lines, being railway’s overhead contact lines its core business. Since its foundation in 1996, Amayuelas provides these services to RENFE and ADIF, the two public enterprises owners of 100% of the Spanish railways infrastructures. AMA’s network of collaborators includes technology platforms, large enterprises, SMEs and public institutions from the electrification and railway sector, such as: Red Electrica (the Spanish TSO), Iberdrola, Repsol, RENFE, ADIF, Everis (a world leading technology consultancy), Valladolid University, Alcalá University, Fundación Cartif (Technological Centre), and The Spanish Energy Technology Platform (PROTECMA). Amayuelas has carried out numerous projects with these entities. Furthermore AMA has participated in collaborative R&D projects under the Spanish funding programmes. E2F are an engineering company with over 10 years experience in the implementation of projects dedicated to the rail sector. E2F offers six main services: electrical sizing, overhead line configuration, substations design, energy efficiency, technical consulting and planning. The company core business is the development of software addressed to power metering in railways electrical installations, especially in overhead contact lines. This software serves for the provisioning of advanced engineering services. Its main clients are the public enterprises owners of the railways’ infrastructures, mainly in Spain. E2F also operates outside, as member of multidisciplinary consortia participating in public tenders for the renewal or new installation of railways electrification infrastructures. SP Electronics is focusing at electronics for safety and reliability, particularly in severe environments. We develop knowledge for embedded and distributed systems, supported by substantial R&D facilities in a number of focused areas: EMC, radio technology, antenna technology, reliable systems (e.g. distributed control systems in vehicles) and robust design. We also carry out technical evaluation of products and systems, e.g. we meet the needs of all testing requirements associated with the Low-Voltage Directive, explosion safety (ATEX), radio and telecommunication terminals, and the New Machinery Directive (2006/42/EC). We are well-experienced in participating in and leading European R&D activities. SP Chemistry, Materials and Surfaces conducts research, testing and certification in a wide range of areas related to organic and inorganic analytical chemistry, surface chemistry and materials technology. Core competences include organic and inorganic analyses of major and trace components in gases, liquids and solids, environmental analyses, physical and chemical characterization of materials, surfaces and interfaces, surface functionalization, formulation and testing and prediction of material performance and durability in different environments and applications. Important application areas include environmental technology, indoor air, solar materials, coatings, polymeric costruction materials, and anti-icing coatings.